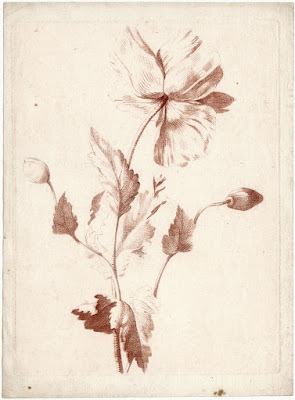 Unidentified artist but most probably Jean-Baptiste Lucien (c.1748–1806), published by Jacques François Chereau (1742–94). 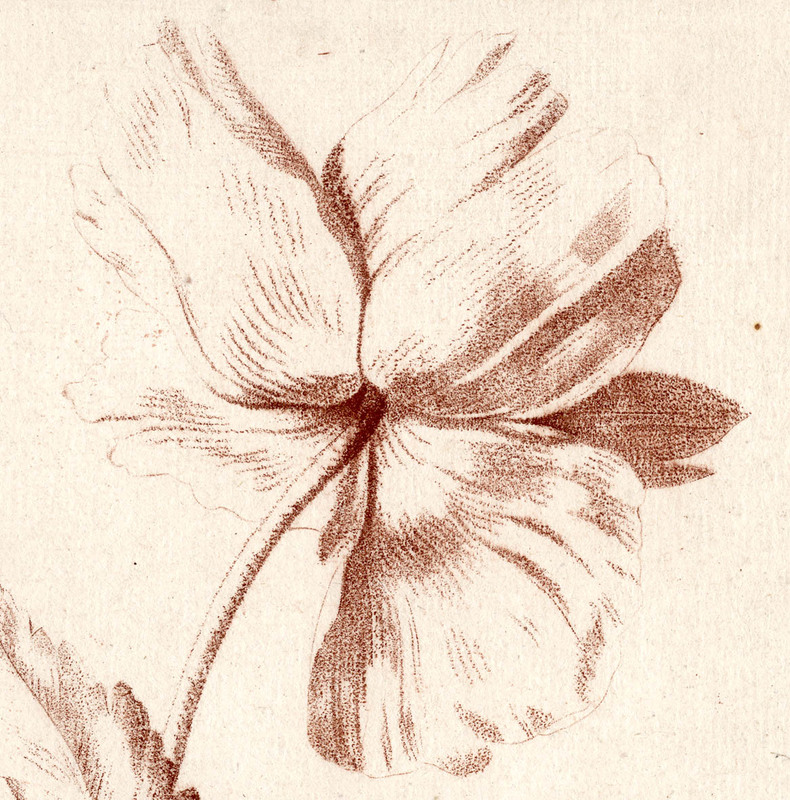 Crayon-manner stippled engravings printed in sanguine ink on fine laid paper. Condition: crisp, strong impression with margins. There are some blurred lines created during the wiping of the lowest leaf. The sheet is in good condition for its age but there are a few dot stains in the lower margin. 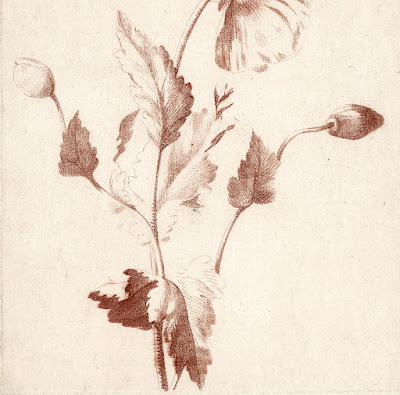 I am selling this original stipple engraving attributed to Lucien for the total cost of AU$78 (currently US$59.07/EUR53.62/GBP44.83 at the time of posting this print) including postage and handling to anywhere in the world. 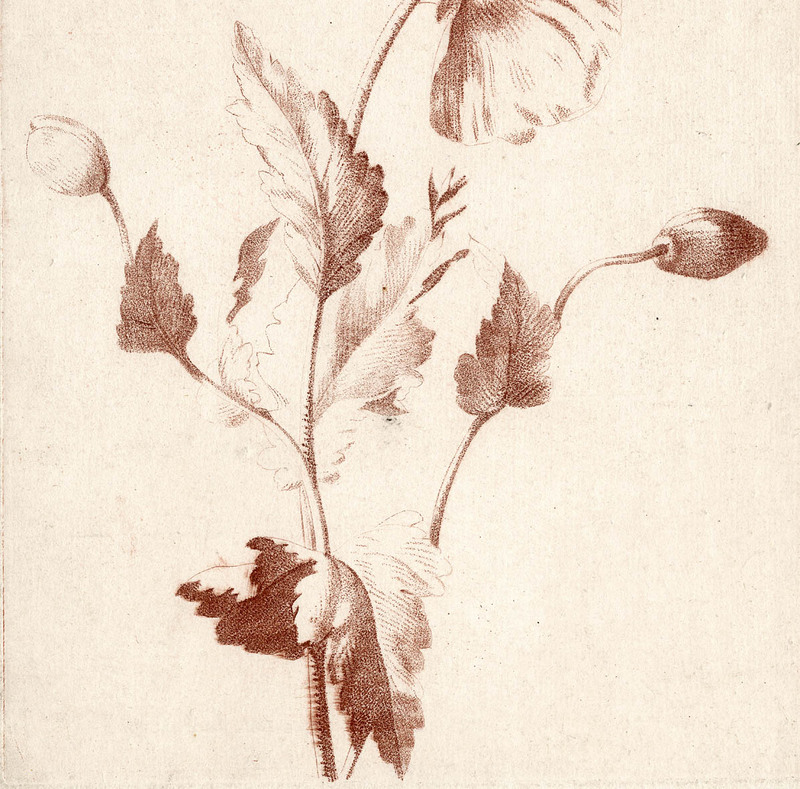 If you are interested in purchasing this beautiful study of a poppy, please contact me (oz_jim@printsandprinciples.com) and I will send you a PayPal invoice to make the payment easy. My attribution of this flower study to Lucien is probably not as important as simply seeing such a beautiful rendering of what I assume is a poppy. 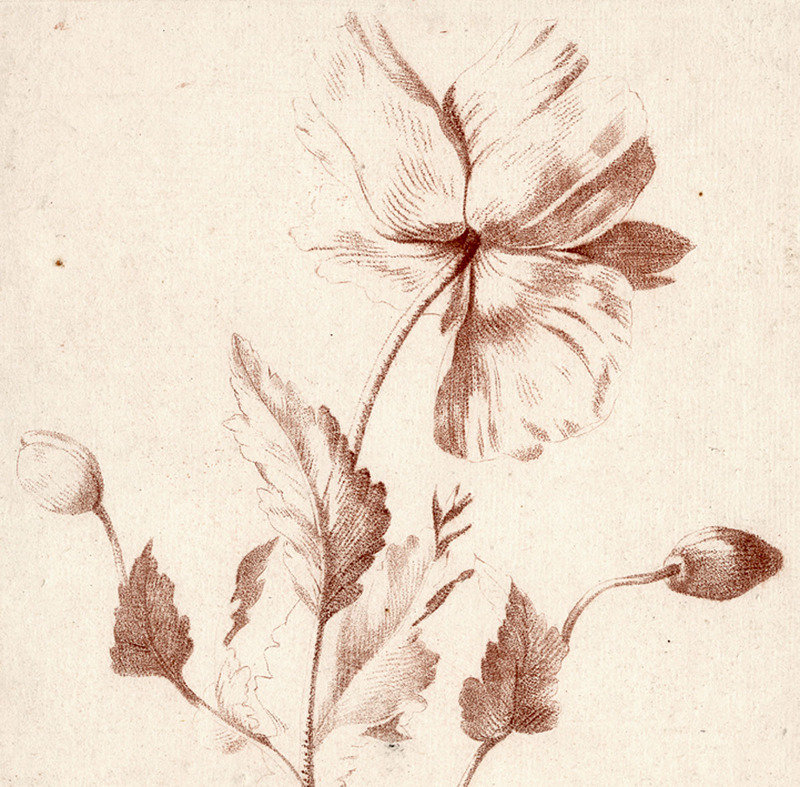 The stipple technique used to render the study gives the image great delicacy and freshness. 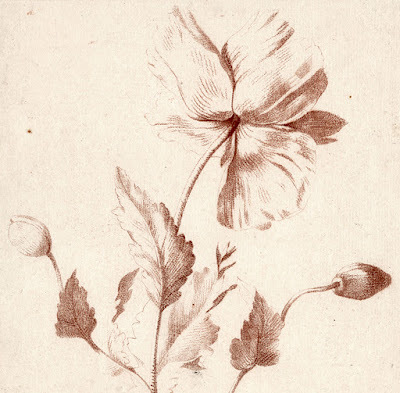 Moreover, the broken line created by the roulette wheel employed to inscribe each line pictorially melds the form of the poppy with the white of the sheet. 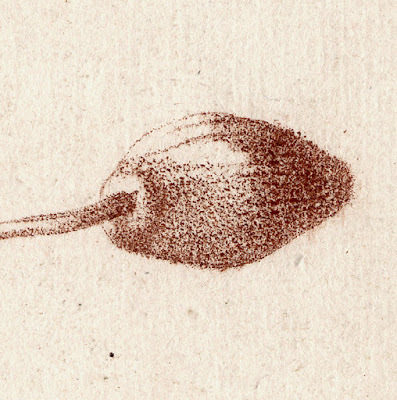 Going further, this effect of the stippling helps to suggest that the white of the paper is more than simply the colour of the paper, but rather a void of space of undefinable depth and brilliance.